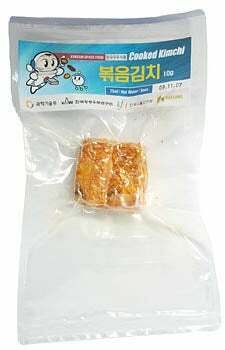 After millions of dollars in research, South Korea has engineered a space-friendly version of the famous fermented cabbage dish, kimchi, for their first astronaut to eat on his journey into the stars (along with newly engineered versions of other Korean staples like ramyeon and fermented soybean soup). But millions of dollars? Seriously? Why was the kimchi endeavor so challenging? Scientists had to develop the food without its trademark mixture of bacteria, as they were worried cosmic rays could mutate the microbes into dangerous entities. Yes, that line sounds straight out of a comic book. According to astronaut Ko San, the national efforts were worth the price. This will greatly help my mission. When you're working in space-like conditions and aren't feeling too well, you miss Korean food.